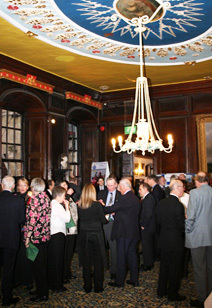 After a number of organisations and individuals came back several times to hold events in Trinity House and at the same time expressed a desire to support us in our charitable activities, we devised a system to better manage relationships with such supporters and ensure they received priority attention for their events. This became the Associate Membership Scheme. 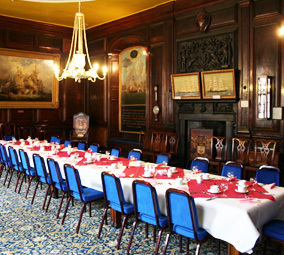 In exchange for an annual subscription, Associate Members secure a full function at Trinity House, with additional functions at a substantially discounted rate. Special arrangements will also be made, if requested, to include a short inclusive tour as part of your function. Associate Members also have access to their own private area of the website, through which they can check availability and access a mail link for priority bookings. Associate Membership is exclusive and the number of members is strictly limited. 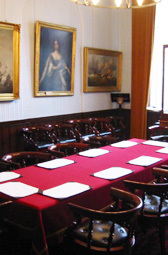 We value and respect those who support us and share our love of the history, fabric and traditions of Trinity House. The Associate Membership scheme brings us closer together in meeting our respective business, private and charitable aims. For details of the scheme, please apply in writing to the Secretary at Trinity House.